Lighten up Deb! That’s what I’ve been telling myself lately…. as in calories (well, maybe other areas too!) 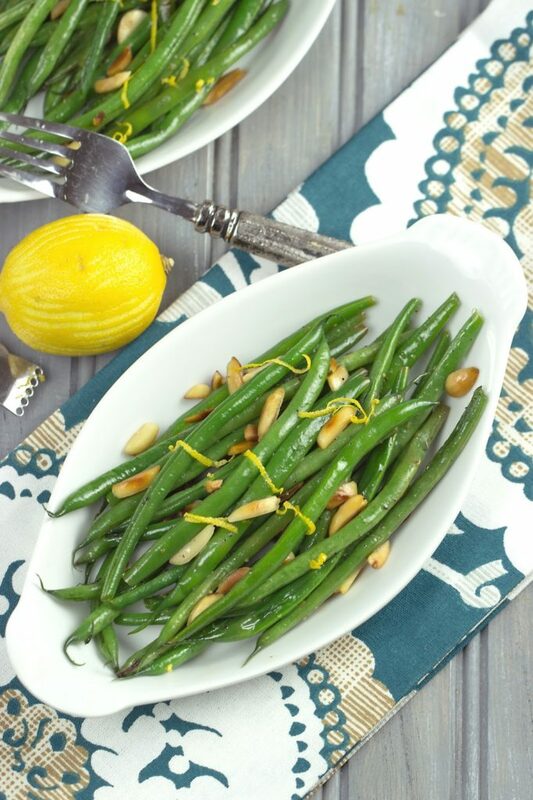 I’m trying to prepare some healthier dishes and these Lemony Green Beans fit the bill. I bought these beautiful, fresh, very green beans (actually called haricot verts) at Trader Joe’s. These are thinner than regular green beans and are sometimes called french green beans. The recipe I used was quite simple and makes 4 servings. That’s it and you have a healthy side dish in under 6 minutes. I also think they look pretty fancy and would be perfect for dinner guests…. you will wow them. love beans, love lemons….. a no brainer for me! 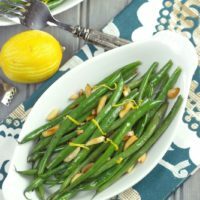 Deb, I love green beans and adding lemon? Of course you KNOW I'm going to love that! 🙂 Thanks for sharing – pinning and buffering! 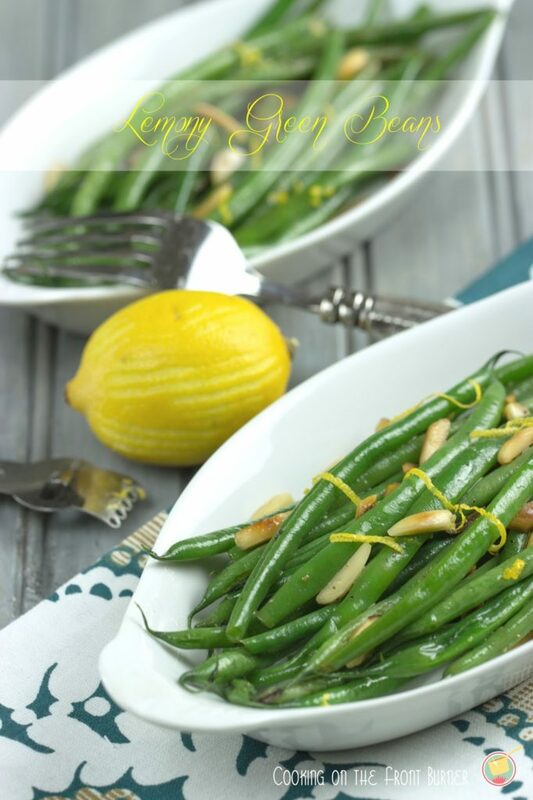 I love green beans, and lemon is such a great way to freshen them up and make them more interesting! They look delicious, Deb! Delicious and pretty in a white dish! Out of all of the veggie greens… my fave has got to be fresh (or frozen) green beans. And, the way you did it with the lemon is very magnificent! These look so yummy, Deb! 🙂 Pinned! 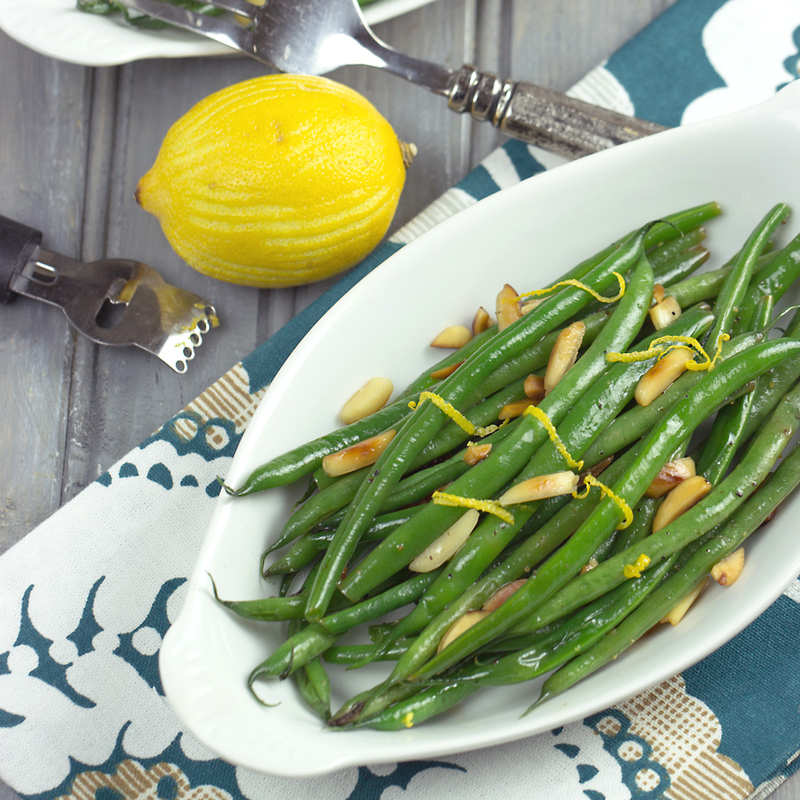 Oh… love green beans and the addition of the lemon zest and juice in this sounds awesome! Looks so fresh and light! Great recipe Deb! Pinning! Wow!! Coming from Saturday Night Fever, this look great!! I'd love if you'd link up to my link party going on now! Loooove new veggie recipes! Deb, thank you so much for joining us and sharing this delicious recipe at Best of the Weekend! Pinned! Hope you have a great week!